Informed by WW2 propaganda, Frank Frazetta's earliest work is still as artistically nuanced and socially complex as it is innocent. Now, for the first time ever, witness the first complete story from a modern master with Frank Frazetta's The Adventures Of The Snow Man! 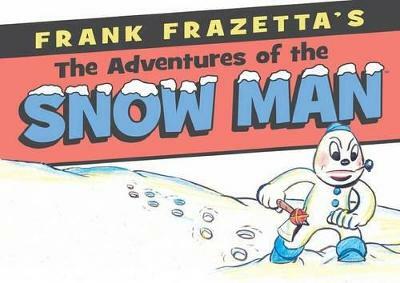 The Adventures of the Snowman first appeared in Tally Ho comics in December of 1944 when Frazetta was only 15 years old. This is the first time it has been reprinted.